Amid a row over the Canadian mission's invite to Jaspal Atwal to attend a dinner hosted for Mr Trudeau in New Delhi on Thursday, the Canadian high commissioner, Nadir Patel, cancelled the invitation. New Delhi: Khalistani terrorist Jaspal Atwal, who has sparked a controversy over invites to two official events of Canadian Prime Minister Justin Trudeau in India, today said it was unfair to raise his "criminal conviction" over the shooting of an Indian minister in 1986. Jaspal Atwal told Canada's Postmedia that he did not plan to attend the dinner as he was in Mumbai on business, accordion to a report in The Vancouver Sun. Earlier in the day, Mr Trudeau had said he would take action against those responsible for inviting Jaspal Atwal, who was sentenced to 20 years for trying to kill then Punjab minister Malkiat Singh Sidhu in Canada in 1986. Jaspal Atwal was a Sikh separatist active in the pro-Khalistan International Sikh Youth Federation then. Canadian lawmaker Randeep Sarai took the blame. "I alone facilitated (Jaspal Atwal's) request to attend this important event. I should have exercised better judgment, and I take full responsibility for my actions," he said. The external affairs ministry has said it was trying to find out how Jaspal Atwal entered India. 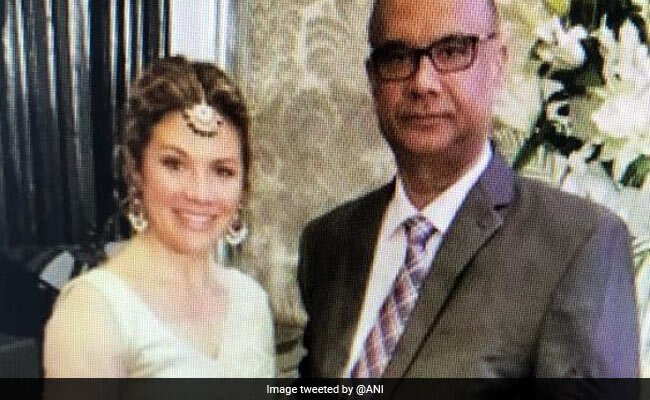 In a big embarrassment to Canada, Jaspal Atwal was photographed with Mr Trudeau's wife Sophie Trudeau and Canadian minister Amarjeet Sohi at an event in Mumbai earlier this week. Jaspal Atwal blamed "enemies" for circulating the photographs, saying that he had travelled to India on his own on February 11 and was not part of any official government delegation, reported news agency Press Trust of India.